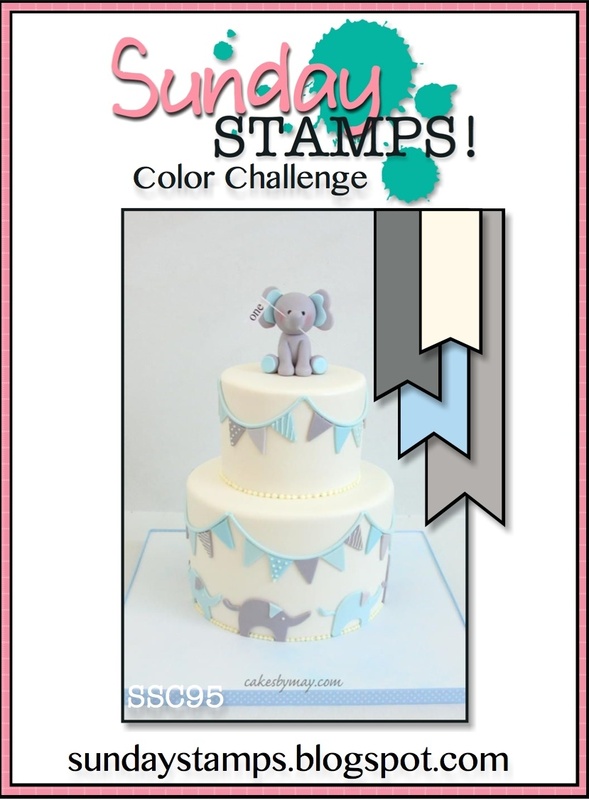 Hollybeary Creations : Hello... Baby with Sunday Stamps! Hello... Baby with Sunday Stamps! Well once agin I'm a few days late with my Sunday Stamps project but that's okay because I was waiting to share it with you today! This week we have a fun Color Combo for you using: Vanilla, Dark Grey, Light Grey & Baby Blue. 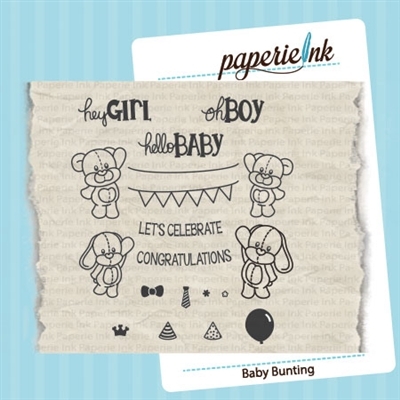 I used the fun set from Paperie Ink called Baby Bunting! This set is perfect for baby projects or if you are just a fan of cute critters! I stamped the bunny image onto some Neenah Solar White card stock and colored it in with my Copics. I needed to incorporate some Vanilla so I added a background with my E50 marker. Then I die cut it with the MFT Stitched Stax circle dies. The Banners in the background are stamped by Masking the bunny image. I created a Basic Grey Card base and embossed it with the Lil' Inkers Large Stitched Rectangle die. Then I added a strip of Hello, Sunshine Pattern paper from Lawn Fawn. I stamped the sentiment onto a piece of Very Vanilla card stock in Simon Says Stamp Slate ink. I adhered the circle with some dimensionals and added a few Vanilla candy Dots from Stampin' Up! 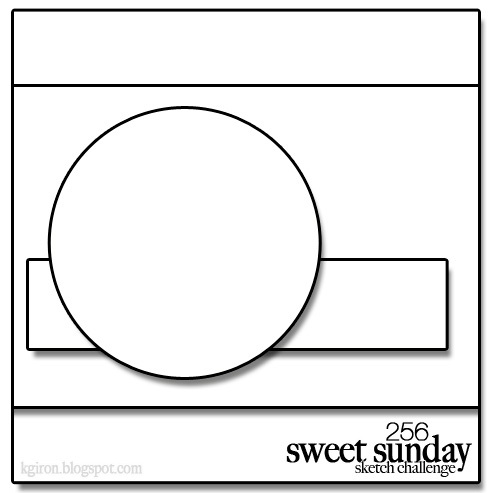 The Sketch is the current Sweet Sunday Sketch. Be sure to head over to the Paperie Ink Facebook page and see some more fun creations from the Design Team. I'm also entering this into the Anything Goes Challenge at Marker Pop this week! Hey Holly this is great I really like it! Oh my goodness that image is adorable!! 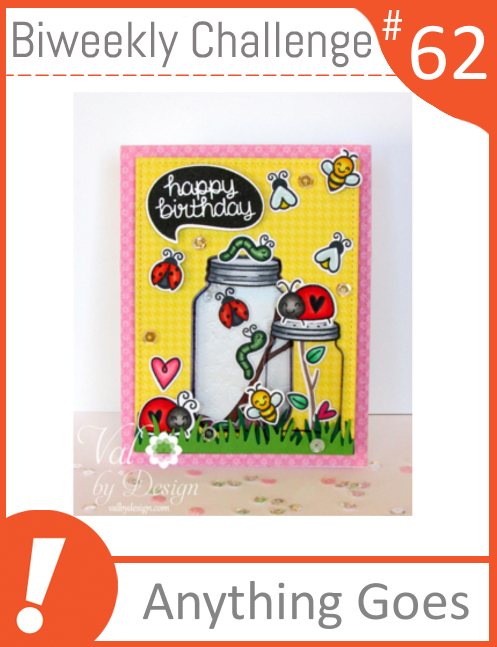 Very sweet card, and your coloring is gorgeous! Thank you so much for joining us for our Anything Goes Challenge over at MarkerPop! So sweet, Holly! I love the color combo... the blue just pops against the grey!